Why Your Website Needs an SSL Right Now. Google’s Changing the Playing Field. Why your website needs an SSL right now. Google’s changing the playing field. It’s July, the days are cold and tax time is upon us. This is also the month that Google Chrome launches their latest update. And if your site is not protected by an SSL Certificate, they want to let the world know. Would you want to browse a site that displayed this warning? Neither would I. The only sure-fire way to avoid the warning is by installing a trusted SSL certificate to your site. This is where we come in. Our gurus have the tools and know how to provide and install an SSL Certificate quickly and easily. Give us a call to ask us how. So, what does an SSL Certificate actually do for my site? An SSL certificate works to create an encrypted connection between your visitor’s browser and the server. Think of an SSL as a windshield for your website. Something to sit between and protect those viewing it from digital bugs and other nasty web creatures. Let’s talk about Google search result rankings. We all want to make it to the top of the list when it comes to people searching for our business or industry. 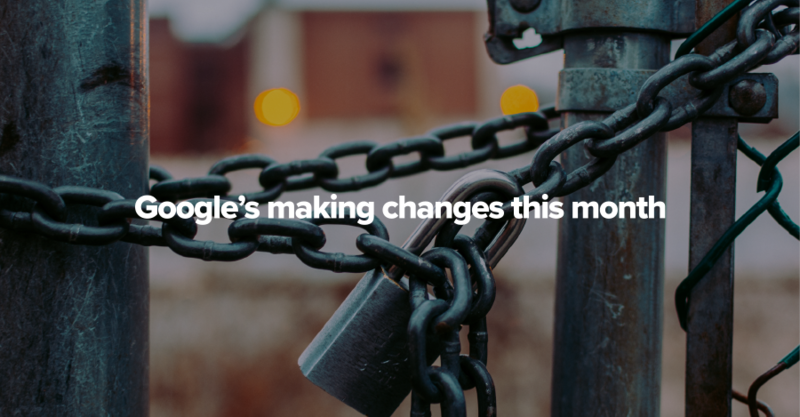 Google has announced they will not only be marking websites without an SSL Certificate as “Not Secure”, they will also be ranking sites with an SSL installed higher in their search results. With competition for the prime Google rankings being a fierce battle, why not take that extra step to get ahead? With Google Chrome’s update launching this month, now is the time to add an SSL certificate to your website and avoid being slapped with the “Not Secure” warning displaying next to your domain name in the browser bar. SSL Certificates provided through OzHosting are trusted by all browsers and use the world’s strongest encryption. Ask our team about installing an SSL to your site or view our most popular solution here. Need a hand? Give us a call to discuss on (02) 8916 2100 or start a live chat.